My name is Rhonda Kelly and I would like to introduce myself to all of you. I am blessed to be Mandy’s mom, Scott’s mother-in-law and Nana to Bekah, Jared, Lizzie and Judah. As almost all of you know God called Mandy, Scott, Lizzie and Judah home recently. First of all the entire family would like to thank all of you for the tremendous and overwhelming amount of love, support and prayers that have been offered to us during this painful time in our lives. Secondly, I want to reach out and let everyone know what happened on that night from my perspective. Many of you have asked us and others about that night and the days following. While I have written this in my head at least 20 times over I have struggled with how to put it all into words as well as what and how much to share. Monday, March 20th was a typical day in our lives. Everyone went to work and school just like any other day and that night my husband and I had dinner and settled in to watch some TV prior to bed. Around 11 pm we decided to call it a night and head to bed. At around 1:40 am, Tuesday, March 21st our youngest daughter, Sam, came into our room waking her dad to tell him someone was knocking our windows. We got up to investigate this and found that there was a police officer outside. He asked for me and if my daughter lived on Mossborough Drive to which we responded with yes. It was then that he told us there had been a fire and they needed our help. While I threw some clothes on we woke my son who lived next door and off we went to see what in the world was going on. On the drive over there (it’s about 20 minutes from our home) I rationalized a lot of things. I was nervous but not fearful at that moment. My first thought was that if had been something severe they would have taken us over there and that it was probably a small thing and maybe everyone would be staying with us for a while. Sam was steady trying to get a hold of Mandy on her cell phone which was going right to voice mail. Again, I rationalized that she most likely busy with “things” and the children. Upon arriving in the neighborhood it quickly became apparent that this was not a small thing that had happened. There were emergency vehicles and cars and people everywhere. An officer stopped us (you couldn’t drive down the street) and asked us if we were the Kelly family. We responded with yes and he directed us to stop the vehicle and would get us up there. We followed the officer and all the while my heart was pounding and my eyes were searching the people. I was searching for my family in that crowd and the closer we got the worse the picture became. Once we got up to the house my heart sank, the damage to the home was incredible. The officer told us “they” were inside and so we went in. Remember: God is in control. The scene inside the neighbor’s house (they go to church with us) was solemn. I remember looking at Suzanne while I was hugging my two oldest grandchildren and her gently shaking her head no. The questions in my eyes were clear as I was not hearing our Lizzie or Judah and not seeing Scott or Mandy. I felt my legs go numb and my world crumble in those few moments. I remember going back outside and just simply standing there on the stairs looking at the shell of a house that remained silently praying and begging God to bring the rest of them out. I listened for the sound of their voices and longed to see them walking through the crowd. We were told that Ruth, Scott’s mom had been air lifted to the burn center in Augusta. All of it seemed so unreal. It had to be a horrible nightmare and someone needed to wake me up as soon as possible. That wasn’t going to happen. Remember: God is in control. The next several hours were a blur. We talked to several people, law enforcement officers, firemen and so on. Our Pastor and his wife arrived, our other pastors from our church arrived, and some men from our church came. Reality, what kind of reality was this. It was the cruelest type of reality I could ever imagine. That was my baby in that house, my son in law and precious grand babies. What happened, how did it happen, why did it happen? How was I supposed to handle this, could I handle it? This is not supposed to be the way this goes. Someone please wake me up. Reality equaled that I was very much and this was happening. I knew I had to hold it together, the children needed me, us. Grandma needed us. Remember: God has prepared you for such a time as this. I made phone calls to my father, my sister and my brother. Some of the hardest phone calls I have ever had to make. Remember: God has prepared you for such a time as this. When the officials finally decided that we could leave Jared went home with his granddaddy and we took Bekah back to our house where our son and daughter in law and youngest grandchildren were. We were going to grab a clean shirt and then meet our Pastor and his wife who were going to take us to Augusta to see Grandma. She had to be told. Remember: God has prepared you for such a time as this. Family and friends began arriving on Friday, March 24th and it was a blessing in so many ways. People we hadn’t seen in a long time, friends, family and extended family. We were blessed to be able to have so many people here with us, to share in our in our pain and laugh at the many beautiful memories that we all had made over the years. On Monday, March 27th was the Memorial Service. It truly was beautiful and a blessing. Pastor’s Duane Hoffman, Alan Eastin and Mark Shaffer all took part along with our Pastor, Eddie Coakley. We couldn’t have asked for a more beautiful tribute to Scott, Mandy, Lizzie and Judah. When it was over and after a wonderful meal several people returned with us to our home for some more time of togetherness. It was in that moment that I asked “Did we really just do this?” Reality again, though it still seemed so surreal. I can’t express enough how much we appreciate all the people that came to be with us during this time. It means the world to all of us to know how loved our loved ones are/were. While it would be easy to ask the why questions daily we are choosing to march forward each day. Each day is a new adventure in this new normal that we find ourselves in. There are days that are hard and painful. There are moments of tears and moments of laughter. Nothing will ever be the same again. There will not be a day that goes by that they will not fill our thoughts and forever be in our hearts. There will be all the firsts without them, the holidays, the birthdays and just normal things that they will miss out on. Their legacy will live on. It will live on through Bekah and Jared, through their siblings and their nieces and nephews and through the countless lives that they touched. The seeds that they planted and watched grow and the seeds that will be planted by those that they touched. The legacy will continue because they touched so many lives. It is the intention of myself and those who worked with Mandy on Worshipful Living to keep her site going. I don’t want it to become a shrine to her but to continue the ministry that meant so much to her and keep it going in a way that would make her proud. In the coming days, weeks and months I will be sharing more with each of you as God guides me and my family through this journey. Thank you again for your support and love. Your comments and messages are always welcome. I am so sorry for your family’s losses, but thank you so much for raising such a wonderful person! Mandy radiated so much love & joy that you couldn’t help but smile while reading her blog or watching her in a video. I only “knew” her via the internet but I am so happy that I did. Love & prayers to you all! ? Mama Rhonda, a million hugs and continual prayers. You lived through such deep agony and yet Such deep faith. I pray that this ministry continues on and on. I pray the Good Shepherd will wrap you in His gentle embrace , wipe your tears every single minute ,and give you strength and fill your heart will comfort. I pray everyone who reads this will know this Lord who gives immense peace amidst intense pain. We can face our uncertain tomorrows because He lives. You and your precious family remain in my prayers. As a mom who’s lost a child, the pain remains, but the joy of knowing our babies are with our Savior. I pray for you as a momma who’s now lost her child, and the loss of your grandbabies and son in law. 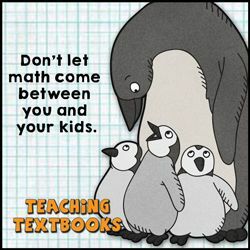 Praying for your grandbabies as they are trying to navigate life without their parents and siblings. So many I know are praying for all of you and hold you so tenderly in our hearts. Rhonda the Lord will continue to carry you through your grief. During the anger, sadness, confusion, every emotion. He WILL carry you through. It’s so obvious that you are leaning on our Father, praise Him, and love Him. I am so terribly sorry for your loss(es). Mandy was, and will continue to be, such an inspiration to so many. Praying for you and all of your family. May God continue to comfort all of you and wrap you in His loving arms. Thank you for sharing with us Mom. As a mother who has buried a child, I know some of your pain, your journey, but know that you will never walk alone. God is there every step of the way to comfort you, guide you, and even carry you. And those “firsts” you mention are for a lifetime. As my oldest prepares to graduate from college, I feel the absence of her little sister, even after 14 years. God bless you all. praying for your family as you make decisions in the short and long term for these two children. praying God supplies supernatural wisdom and strength to navigate through it all. Mandy was such a special friend of mine, and when I heard the news thru social media, I just could not stop the tears, she was a light in a dark world, er love for Jesus shined thru. I knew your beloved beautiful daughter through her work at Good Morning Girls with Courtney Joseph. She loved the Lord with all of her heart. I can’t even begin to imagine your pain. Continued prayers for your family. Thank you Rhonda for sharing this . Mandy was an amazing woman and had a beautiful family ? Dear Rhonda, Even though I have never met you or can comprehend all of what you are going through my heart has been deeply touched by Mandy and her story and her blogs that she left behind that comfort family and friends. I found one of her blogs the day after this tragedy occurred and I was touched to read “to die is gain” and what that meant to her. Then when I started to read the comments I searched and realized what had happened. I have reposted that blog and several others and have asked our church family to keep your family in their prayers. Thank you for sharing with us. May God continue to comfort and strengthen you and your family as you take each day one step at a time (just so you know we understand I want you to know that my mom has also said goodbye on this earth to 4 of her 8 children). Thank God for His amazing gift of Jesus and the hope of heaven we share! Oh my sweet friend….You and yours are dearly loved. I continue to pray for you daily. ???? I only met Mandy through her blog. I was drawn to her blog because of her love for God and family, her desire for our homes to be an expression of worship. I prayed for her and Scott to find a baby and rejoiced when God gave them one. Thank you for sharing your thoughts on all of this. I have been praying for your family and have asked our church to pray too. I look forward to meeting Mandy in heaven someday. I just read your post through tears. Thank you so much for writing this! I loved your daughter so much. She was such a gift and a blessing to me as a friend, an encourager and as a leader at the ministry of Good Morning Girls. We were going to get to see each other again this month, at a conference in Ohio and so I grieve the time with her – that will never be. Reading your story and the way you inserted the things you “remember” showed me where Mandy’s strong faith comes from. What a wonderful mother you are – you raised an amazing daughter. My heart breaks for your loss, your family’s loss, your church family’s loss and the loss that Bekah and Jared are going through. I have been praying for you all and will continue to. Though I don’t know you – I love you so much. My heart is with you sweet mama. Stay strong and I look forward to when you share here again. Words do not adequately express the pain and confusion I feel. My only comfort is that God is sovereign. He is never shocked. He is in control. You are an amazing woman, but then I already knew this *smiles*. I just wish we had lived closer together all these years. Mandy was and will continue to be a very special niece to me. I remember the time we took her and one of our “church teens” to Disney World for Mandy’s Graduation present hoping they would become close and remain friends forever. We had such an awesome time. We have you all on our church Prayer List and love you all so much. Remember we are just a phone call away if you ever just need to talk. “Be of good courage…..” comes to mind when I think of you every day and Mandy and her family are constantly in my thoughts. I can’t wait until I see them all again in Heaven. That time I believe will not be too much longer either according to the Bible and all that is happening. People better wake up and fast and come to know the Lord as their personal Saviour before it is too late. (not sorry for the preaching *smiles*). Thank you for writing. I am so sorry for your loss. I am so glad that you will continue the ministry of Worshipful Living. Prayers for your continued comfort. What a beautiful post. Thank you for sharing those details with us even though you didn’t have to. Thank you for allowing us to mourn with you and pray for you. I’m looking at the photo at the top of this blog… flowers with seeds spreading… sowing seeds of faith as Mandy said. So as one plant dies, the seed spreads and more bloom. ONE flower produces how many seeds and how many new flowers? I see that picture playing out here today. Mandy was a beautiful soul spreading God’s love and look how her love for Him continues to grow!! We will continue to pray for you and this love filled God-centered ministry! I am blessed to have known Mandy through her website. It started in March 2016. 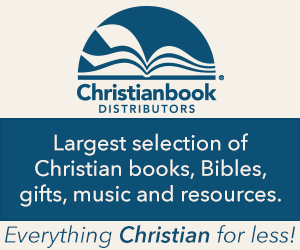 I had just moved to a new town and had a deep hunger to know more of Christ. 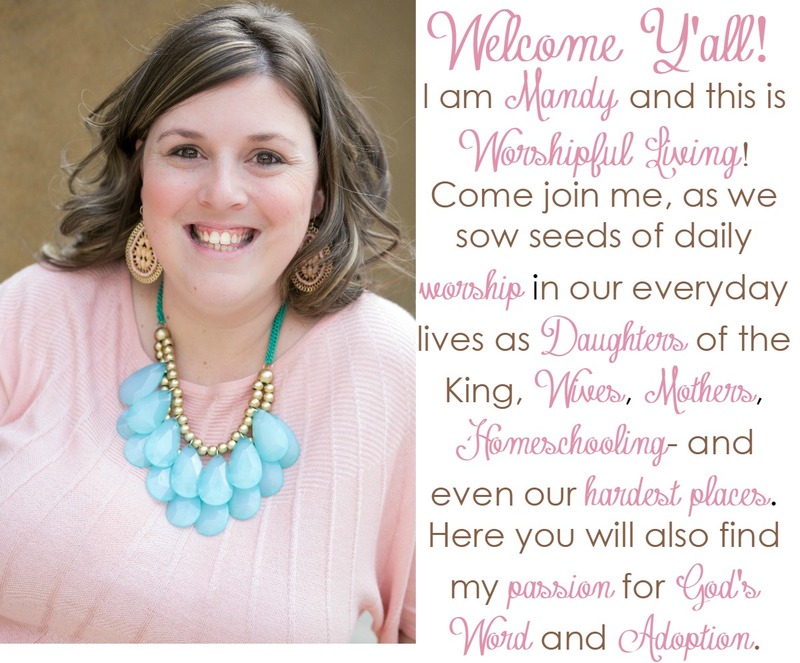 God directed me to Mandy’s website, to the Scripture Writing Challenge. I had also signed up for a couple of her Bible Studies. I am truly saddened to hear your news. But, I will continue to keep going with the Scripture Challenge using past challenges until you are able to add some of yours. 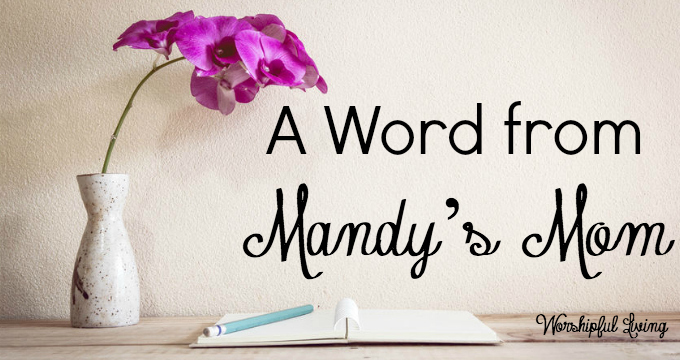 I will continue visiting Mandy’s website and look forward to reading what God gives you or anyone else who writes for her site. My heart has broken into a million pieces for you. Although I did not know Mandy, she was a true blessing. My prayers go out to each one of you. I know God has you ALL in the palm of his hand. Thank you for your words. Thank you for planning to continue her work. Even though I only knew Mandy through her fb page, I had great trouble dealing with this tragedy. Some of her prescheduled posts were what helped me along. Amazing how even in death God has continued her ministry. Although I had difficulty reading this article because I still don’t understand. I just keep telling myself God’s timing is perfect. He knows what he is doing. I have and will continue to lift your family in prayer. Love and hugs to you all. Dear Rhonda, I’ve read this twice now and both times I have been struck by the depth of your faith and the strength of His Holy Spirit in you. My heart sang when I read that you want the ministry God gave her to continue on…and then tears flowed as I read your signature “Because He lives”. Amen! We get up each day and live with hope because He lives! It is an honor to get to know you, and I can’t wait to get to know you even more. Sending prayers for your family! I am so sorry you all are going through this. There are really just no words. Only weeping. She had an indelible impact on so many folks – not the last of which was her 2:1 conference family. I am blessed to be part of that group and along with everyone else pray for God’s comfort and provision as all of you move forward. Thank you for the incredible courage in taking the time to post this message to all of us. In reading your letter and admonitions to us to ‘remember’, It is easy to see where Mandy got her faith. Kindest regards and deepest condolences. I just wanted to offer a virtual hug to you. Your post was so well written despite the circumstance. I’m glad you know Him, the giver of eternal life, who will reunite you one day with your precious family. May He continue to pour out His grace and strength when you need it most. I am so sorry for your loss, and I will continue to pray for all of you. I never knew Mandy, nor her blog. I heard of her and her family’s loss through her dear friend, Rosilund Jukic. However, the loss of such a dear saint touches multitudes; and my heart cries with yours. Take care, and may you continually feel the Lord’s strength, Presence, love, peace, and even His joy in the midst of your sorrow. May the Lord bless you in special ways, in the midst of your grief and sorrow. Rhonda, you and your family continue to be in my prayers. I am one of the many who only knew Mandy through her online presence and I feel so blessed to have known her. She was and will continue to be a light in my faith walk and a footprint on my heart. God is good all the time and keeping this ministry alive is amazing. Thank you for sharing your message and the willingness to share your journey so that we all may be blessed by HIS glory through this. I am so very sorry for your loss. I didn’t know Mandy, but have since read her blog and viewed a video. What a sweet and godly person she must have been. May God give you the peace that surpasses all understanding. Continued prayers for your family. I don’t know you and I only knew Mandy “virtually”, but what a blessing to have known her, and now to meet you! What a brave and Spirit-filled person you are, and I’m so happy to hear that you are picking up her mission. WorshipfulLiving will go on encouraging and teaching us as mothers, and sisters and friends and daughters of the King. Praying for abundant blessings and God’s favor as you continue to pour into your readers even a bit of what you have so obviously poured into your sweet daughter! I was browsing through this blog, looking for inspiration and encouragement, and finding it. I was particularly struck by the photo of Mandy in her profile and thought to myself, “She has a beautiful real smile – she must be truly joyful” to minutes later reading the terrible news about the fire. I am so sorry for your loss! My heart and prayers go out for all the family and friends, and especially the 2 oldest children. Based on what I’ve read, I believe that Mandy and her husband and children are indeed full of joy in the presence of their Savior. Rhonda, I would first like to express my sincere condolences to you and your family. I would then like to thank you for sharing your heart and your thoughts with us all and for deciding to continue the legacy that your daughter started. You are an example of faith and strength in Jesus Christ. I came to Mandy’s website after two bloggers that I follow communicated their sadness over the sudden death of a fellow blogger and friend. I read her last post and was touched by her love for the Lord. I continued to read her other writings and I was so blessed. The Spirit and love of Christ within her was obvious with every word she wrote. I felt a connection to her through each blog post I read. I am deeply saddened that I was unable to connect with her sooner. But I now look forward to reading what God will place in your heart to share with many. May the Lord continue to give you the peace that surpasses all understanding, the wisdom and strength to move forward in faith, trusting and leaning on him. I wish I could give you a hug Rhonda. I will be praying for all of you. My heart aches for you and the rest of your family. I’m moved by your deep faith and I’m so pleased that you’ve chosen to carry on Mandy’s ministry. I pray that doing so will help in healing process as you find some encouragement along the way. May God strengthen you and give you his peace. Blessings! Thank you so much for sharing your heart and your beautiful family with us. I am a fellow blogger and when I heard about Mandy’s death and that her husband and children were also gone. I was heart broken. So so tragic. My heart aches with you and I am so thankful that we as the body of Christ can grieve with you… but in hope. What a beautiful legacy Mandy and her husband have left. What a testimony. We don’t understand these things but we know God is Sovereign and that he will be glorified. I lost my Dad when I was 14 and I think of how it changed my life. I think of your grandchildren now left and pray that they will draw closer to the Lord through this, as I did and that God will all carry and comfort you through this difficult time.. Much love to you. I am so sorry to hear of this incredible loss. Thank you for sharing some of these painful details. God comfort and bless you all! I just came across your story today. Praying God’s grace over all of you. Time may put distance between tragedy but doesn’t erase it.